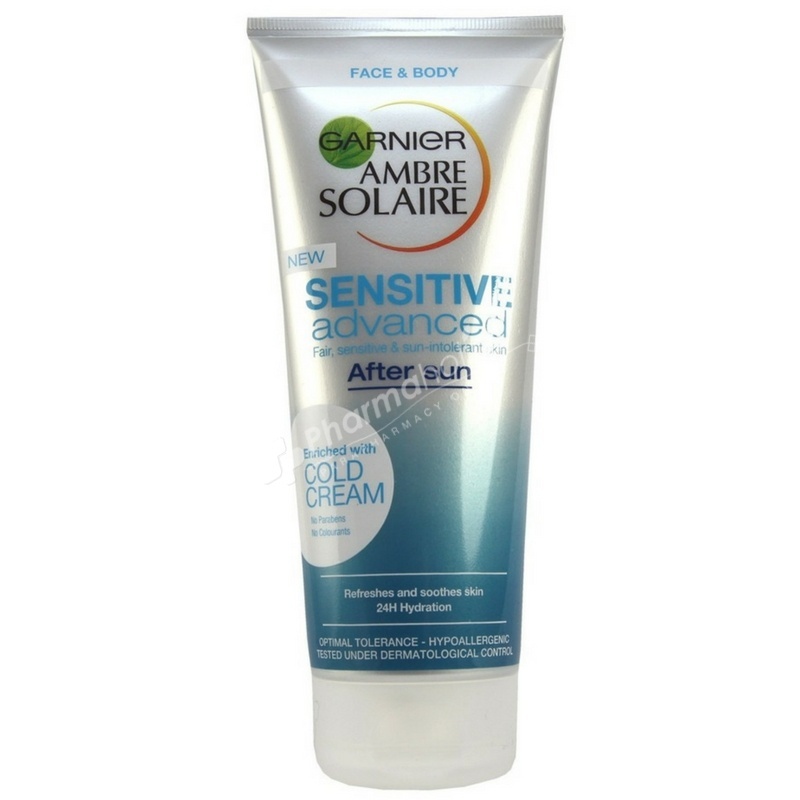 Garnier Ambre Solaire Sensitive Advanced After Sun with Cold Cream. Immediately after application, the skin feels refreshed and stays hydrated for up to 24h. Hypoallergenic and suitable for application on body and face. Apply to face and body after sun exposure and gently massage until fully absorbed.